The Fortaleza da Barra do Rio Grande, popularly known as the Forte dos Reis Magos or Fortaleza dos Reis Magos (Fortress of Three Wise Men), is a fortress located in the city of Natal in the Brazilian state of Rio Grande do Norte.The fortress was the first milestone of the city founded on 25 December 1599 on the right side of the bar of the Potengi River (today near the Newton Navarro Bridge). It received its name based on the date of commencement of its construction, 6 January 1598, at Epiphany Catholic calendar. Here's the our members favorite photos of "Forts in Natal". 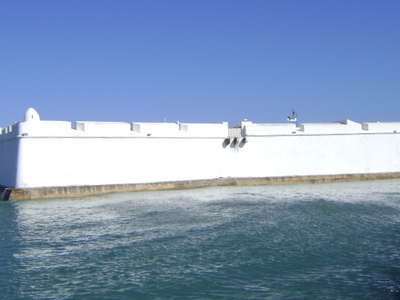 Upload your photo of Forte dos Reis Magos!